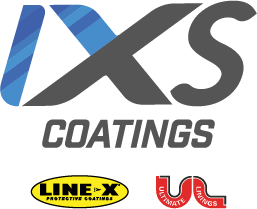 IXS COATINGS IS THE PREMIER, APPROVED AUTOMOTIVE OEM PARTNER! FROM THE FACTORY FLOOR TO THE DEALERSHIP, IXS MAKES IT CONVENIENT, COST-EFFECTIVE, AND EASY TO ADD SPRAY-ON PROTECTIVE COATINGS TO YOUR VEHICLES. With more than 600 retail locations, LINE-X® is the largest dealer network for spray-on bed liners and truck accessories in the United States. Receive local service from trained professionals across the country, for fast and convenient applications. LINE-X spray-on bed liners provide unmatched protection for your vehicle with the toughest bed liners on the market. LINE-X is backed with a lifetime warranty, so you can depend on it to provide you with protection you expect. Ultimate Linings specializes in manufacturing polyurea protective coatings. Our experts work closely with OE engineers to develop the right solution, product, or application that your project requires. Ultimate Linings is the industry leader for robotic applications, booth designs, and on-site technical training programs. Easily integrate polyurea and spray-on coating applications in your facility. Work trucks, UTV/RTVs, and RVs take a beating. 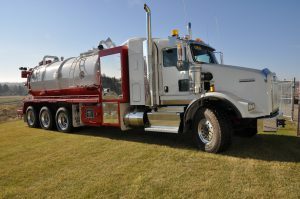 Spray-on polyurea coatings are a cost-effective way to extend the life of heavy-use vehicles by eliminating dents, scratches, abrasives, and preventing corrosion. As the approved and exclusive supplier of polyurea coatings for top original equipment manufacturers (OEMs), IXS Coatings has the ASTM-certified protection you need. From cargo bed floors and bumpers to wheel wells and skid plates, IXS Coatings is the trusted source to keep your vehicles rock solid, year after year. Replace traditional powder-coating with the increased durability of polyurea coating solutions from a dedicated Specialty Equipment Market Association (SEMA) and National Automobile Dealers Association (NADA) member. Talk with our experts to find out how. With 55 years of industry experience, we’ve engineered our chemical formulas to provide the perfect balance of strength and flexibility. With UV-stable color customization to match manufacturing specifications, we can help vehicles stay sleek and stylish. RVs and motorhomes spend their lives on the road, exposed to the negative effects of highway debris, excessive moisture, extreme weather, and other hazards. Manufacturers and dealers can maximize the value and quality of their RVs and motorhomes with long-lasting spray-on polyurea coatings from IXS Coatings. Our specialized, highly-elastomeric polyurea coatings offer robust protection against impacts, abrasion, and corrosion, which helps RVs and motorhomes maintain their durability and value mile after mile. Since our coatings can be color-customized, we can deliver a perfect, UV-stable paint match every time. 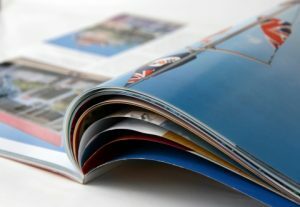 Talk to us today and bring increased value and quality to RVs and motorhomes. See why Nichols Fleet Equipment turned to LINE-X for added durability and protection. Are you giving your customers what they want? We've surveyed the hard-working men and women in this country, and the overwhelming response is that they demand greater protection, durability, and longevity for their work trucks! LINE-X has a long history of engineering protective coatings to meet the rigorous demands of fleet and service vehicles.